SKU: 008248. Category: Crucible Base Blocks. 13 in. x 2 in. 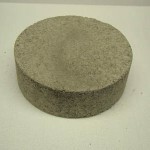 Silicon Carbide Base Block – fits #225 thru #275 crucibles.